Seven years ago, what was then the largest Bronx rezoning ever was passed for a 17-acre, 11-block area in Crotona Park East. 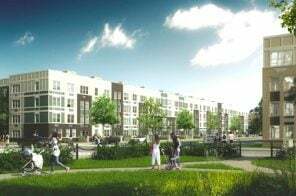 Known as the West Farms Redevelopment Plan, a development for the former industrial area by Dattner Architects, the complex will boast 1,325 units of affordable housing when complete, along with retail and community facilities. A year after the second affordable housing lottery at the site’s Compass Residences went live, the third is now up and running at 1903 West Farms Road. Designed in a similar basic-brick style by Dattner, this building has 152 units up for grabs for households earning 60 percent of the area median income, ranging from $865/month studios to $1,289/month three-bedrooms. Back in 2011, Dattner Architects created the West Farms Redevelopment Plan, a rezoning (the largest ever in the Bronx at the time) of a 17-acre, 11-block former industrial area in Crotona Park East. The plan calls for a total of 1,325 affordable housing units, 46,000 square feet of retail, and community facilities. Dattner’s first two buildings in the complex are called theCompass Residences, which provide 237 apartments arranged around a series of courtyards. 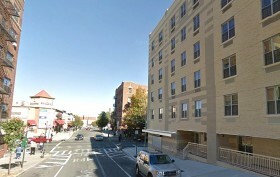 This past December, 114 of these residences at 1544 Boone Avenue came online through the city’s affordable housing lottery, and now, 120 more at 1524 Boone Avenue are open to New Yorkers earning 60 and 90 percent of the area median income, ranging from $822/month studios to $1,740/month three-bedrooms. 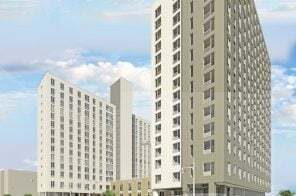 In April, the affordable housing lottery commenced for 79 units at Building A of the Bronx’s Crotona Terrace development in Crotona Park East. Now, 107 additional apartments are up for grabs at Building B, ranging from $368/month studios to $1,740/month three-bedrooms, broken down for those earning no more than 30, 40, 50, 60, or 100 percent of the area media income. 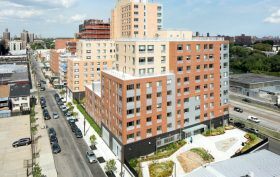 This mixed-income setup is similar to other projects in the Crotona Park East neighborhood, which was rezoned nearly six years ago to allow more residential in a historically industrial area to create increased affordable housing. When the West Farms Redevelopment Plan came to fruition in 2011, it was the largest private rezoning ever in the Bronx. 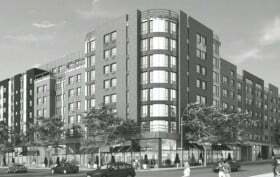 The 17-acre, 11-block site in Crotona Park East was a former industrial area that’s being transformed according to a master plan by Dattner Architects that calls for a total of 1,325 units of affordable housing and 46,000 square feet of retail space and community facilities. The first two buildings in the complex, also designed by Dattner, are called the Compass Residences and offer 237 units organized around a series of “gracious courtyards.” As of today, 114 of these apartments are available through the city’s affordable housing lottery. They’re open to individuals earning 60 percent of the area media income and range from $822/month studios to $1,224/month three-bedrooms. 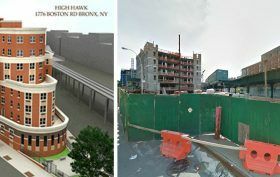 Almost exactly two years ago to the date, High Hawk LLC broke ground on a new 72-unit, mixed-income affordable housing development at a long-underutilized site at 1776 Boston Road in Crotona Park East. Known as the High Hawk Apartments, the eight-story building also offers three tenant recreation areas, commercial and retail space, a ground-floor community facility, and a below-grade parking garage. The city aimed to “increase income diversity” in the Bronx neighborhood by dividing the apartments with 18 reserved for households earning less than 60 percent of the area media income and 54 reserved for those earning less than 100 percent. 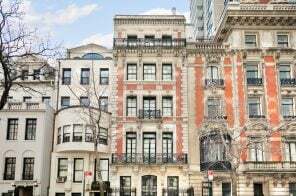 The former group ranges from a $788/month studio to $1,182/month three-bedrooms, while the latter ranges from $1,208/month one-bedrooms to $1,683/month three-bedrooms. A couple weeks ago, 6sqft got word of an affordable housing lottery at 1702 Bryant Avenue in the Bronx‘s Crotona Park East, “one of a few areas that seemed slow to catch up with the rest of the borough.” Five years ago, the city rezoned this small neighborhood from light industrial use to residential, which created a rise in affordable housing opportunities. 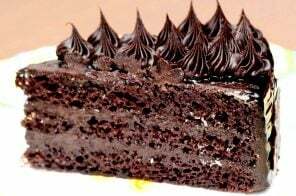 The latest offering is at 950 East 176th Street. 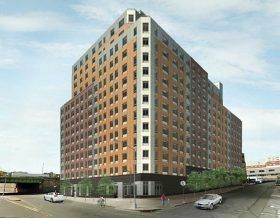 It’s Building A of the Crotona Terrace development and will have 79 affordable units. Though the address is just a few short blocks from the park, it’s also directly adjacent to the Cross Bronx Expressway and elevated tracks of the 2/5 trains, a fact that might seem like less of a nuisance considering the apartments range from $975/month studios to $1,486/month two-bedrooms. In 1977, when President Jimmy Carter visited the South Bronx and declared it the worst neighborhood in the country, he was standing in Crotona Park East, a small neighborhood nestled in the triangle bordered by the Cross Bronx Expressway, the Harlem River, and Crotona Park. Though the Bronx dropped this reputation a long time ago, Crotona Park East was one of a few areas that seemed slow to catch up with the rest of the borough, but five years ago, the city rezoned this stretch from light industrial use to residential, creating a boom in affordable housing opportunities. The latest such development is located at 1702 Bryant Avenue, where 10 newly constructed affordable units are up for grabs through the city’s housing lottery. 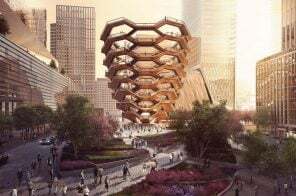 The unit are $931/month one-bedrooms for one person earning between $31,920 and $38,100 annually and two people earning between $31,920 and $43,500.